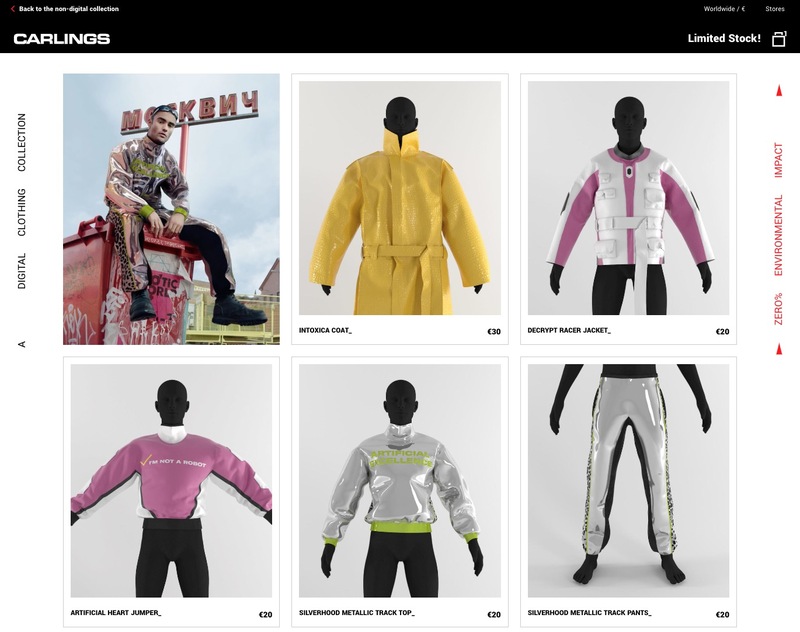 You can buy a digital piece of clothing, upload a photo of yourself and have the artists at Vice digitally dress you up. The artwork is delivered back to the customers ready to share on social media. The purchasing process is automated using the headless commerce service Crystallize. As part of the campaign 100% of the revenues Carlings makes on this campaign are donated to Water Aid. The headless commerce service Crystallize was used to build the tailor made e-commerce solution for Carlings in just a few weeks. It consists of a limited inventory of digital products. Payment integration. Custom checkout workflow with customers uploading pictures of themselves for post production. Post payment workflows include sending images to artists and having artists upload artwork to be sent to the customer. It great example that e-commerce is going towards tailor made solutions. Check out the Carlings Digital Collection.